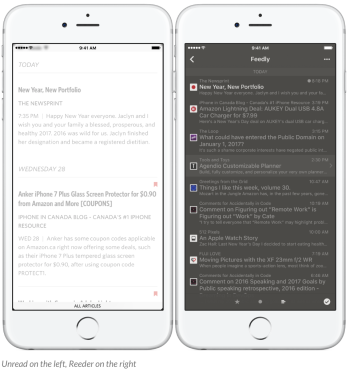 Unread does a great job of providing room for content to breathe on the screen. Thereâ€™s a lot of empty space between each headline in my news feed, which makes me pay more attention to posts, instead of judging them simply based on their headlines. I can tap on posts to view them in full screen, and thereâ€™s a great gesture (swipe left) to pull up contextual options while reading. My issue with Unread is that it can be tougher to skim because it does give content so much space. I can only see a maximum of three headlines and previews on a single page, and Iâ€™m using an iPhone 6S Plus. If Iâ€™m in the mood for quick skimming of headlines so that I can mark the articles I really want to read, I tend to use Reeder. Swiping on an individual post can star it in Feedly, or mark it as unread. Tapping and holding on a post lets me mark all posts above or below that post as read. Force pressing on a post will let me preview it (which is fairly standard behaviour, but that isnâ€™t present in Unread). 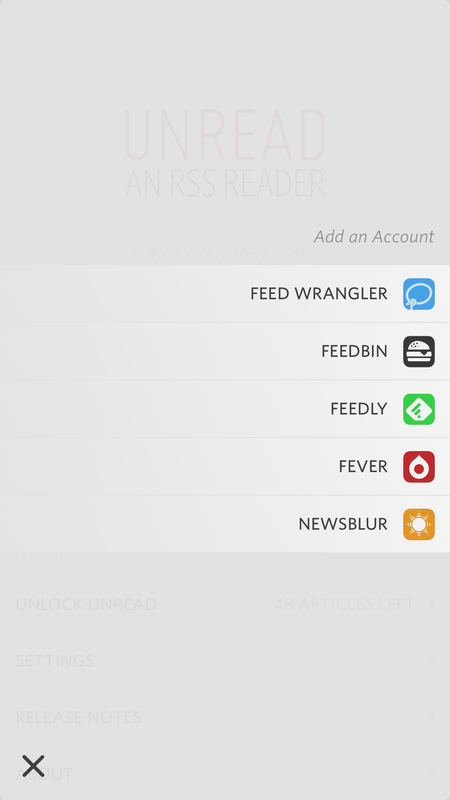 I tend to treat my RSS feeds as an inbox to conquer, and Iâ€™ll save the articles I really like to something like Instapaper, or star them for later reading. 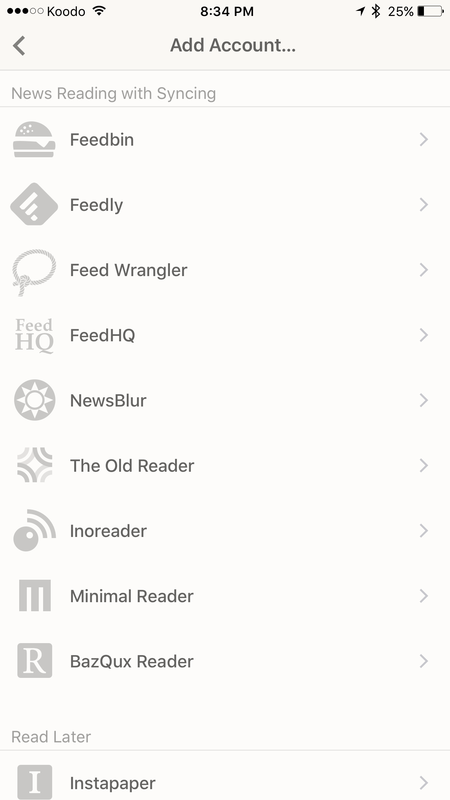 Reederâ€™s more headline-centric approach works wonders for me. It feels like an app thatâ€™s built to work at my speed, with plenty of little shortcuts to help me manage media a little bit faster. I donâ€™t think one of these readers is clearly better than the other, but Reeder is the one that I end up coming back to time and time again. Itâ€™s updated fairly often, has a solid iOS and Mac presence, and it probably works with the RSS service you already use. Unread is a little easier to get into because you can download it for free and then unlock other features, but I think Reeder makes for a very easy purchase at just $4.99 USD.